It’s easy to tell when your trucking insurance is coming up for renewal; your phone starts ringing off the hook with shippers wanting updated certificates and insurance agents begging to quote your business. As a business owner, you want to make the best choice you can for your trucking company, but there are so many choices TO make: Choosing trucking insurance agents, trucking insurance companies, or buying your trucking insurance over the web, etc. For me, I always go back to my grandmother’s words, “if you don’t know your jewels, you better know your jeweler”. And believe it or not, I give this same advice to not only current customers, but even to prospects every year. PICK YOUR AGENT FIRST. The Right Agent. Does this agent/agency specialize in trucking insurance, or just dabble in it? Do they understand what a federal filing is, and what CSA stands for? Can they define bobtail insurance, physical damage insurance and know what occupational/accident coverage is? Does this agent represent multiple trucking insurance companies, in order to match your business up with the carrier that can best accommodate your unique operation? A tractor pulling dry goods across the country is a totally different exposure to an intermodal hauler pulling trailers within a 50-mile radius. Insurance companies all have their “bullseye” of business that they want to write. Being with the wrong company can affect not only pricing, but claims experience, and this is one great reason to rely on the professional consultation of your trucking insurance agent. Price. Naturally, cost is an important factor in your trucking insurance buying decision, as well as every decision we make in our personal lives. 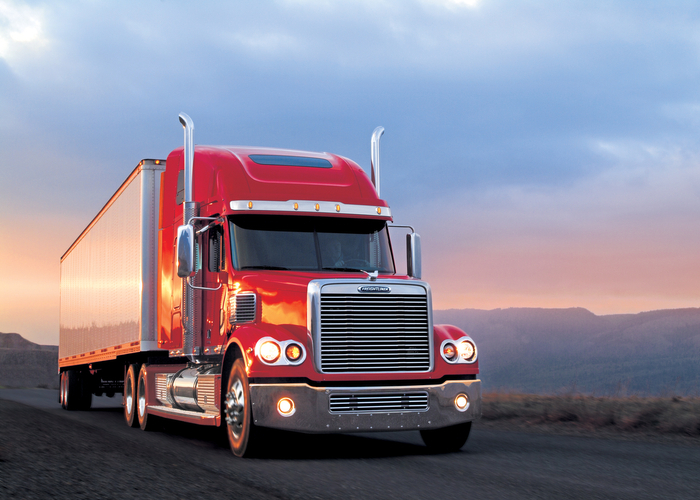 Here’s something to consider; trucking insurance, by definition, is an expensive and intangible product. If the price you are getting is MUCH lower than what you had expected, then there’s a very good chance you’re either buying sub-standard coverage, or getting less coverage than what you really need. And what is more important? Controlling this year’s cost, or controlling the total cost of risk over the life of your business? Switching insurance carriers every year may seem cheaper in the short-term, but consider this; if you have been a long-term client of an excellent trucking insurance company and agent, and you have a problematic claim, how much of your time and money goes into dealing with a cut-rate insurance carrier’s claims department? It’s possible that your equipment could be down longer, or that your shipper’s payment gets delayed, and then you have an angry customer. Those hidden costs must absolutely be considered when deciding on your insurance renewal, and only you can decide the value of your loyalty towards a specialized trucking insurance agent and company. In the end, here’s my advice, take it for what it’s worth. Pick your insurance agent, and treat them like you would any other important business adviser. Trust them to learn your business, to help make sure your assets are properly protected and communicate your service expectations to them. Ask them to shop your insurance yearly, knowing they have your best interest in mind. I understand there are good reasons to change agents; our agency prides itself on excellent and very fast customer service, but I’m very aware that not every agency takes the same pride in customer service to our trucking industry clients that Insure My Rig does. Bottom line is, if you don’t trust your agent…well, that IS a good reason to make a change!